The Cycling Hub is here to develop cycling and get people of all ages and abilities on bikes. Since the Cycling Festival in 2017, we have run mountain bike rides every Tuesday night which have run all through the year and in the winter rain, snow or shine. The main aim is to help improve local cyclists skills and promote the local trails available to them. Over the past 6 months we have had the chance to get to know a lot of the local riders and find their reasons for riding and what they aim to achieve from cycling. Two of these local guys have been very keen to push the boat out and get racing. Racing isn’t the easiest thing to get into, and can be an expensive sport…especially with having to buy new parts, fix your bike, get to and from the races, accommodation and of course entering the races. We are supporting these two riders over the 2018 race season to allow them to compete to the best of their ability on some of the best kit available to help them achieve their goals. 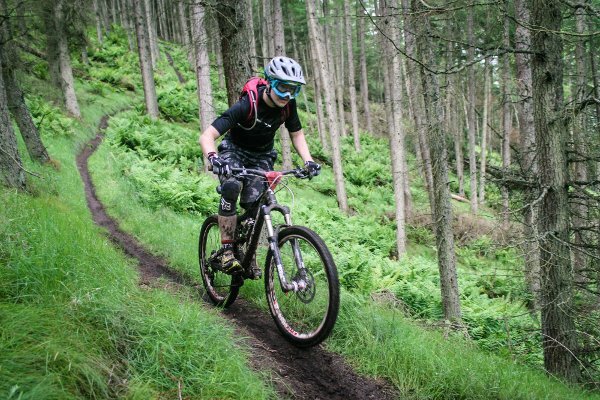 They have been training hard on the steep and slippy trails at Ballo near Coupar Angus so they are well prepared for the season ahead. They are driven and determined to do well but they are both also able to go out and have fun which is the key ingredient to enjoying cycling and racing no matter how tough it can get. So here is a bit about them. 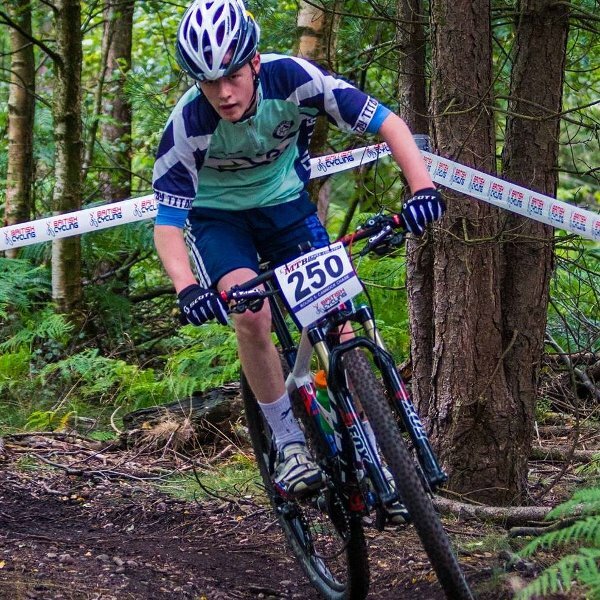 “I properly started mountain biking 6-7 years ago. This year I am racing the Scottish Enduro series, Muckmedden events, some other No Fuss events and obviously Ballo Enduro. I aim to try and keep improving but ultimately I want to get up there with the top guys my age. I ride because it gives me a sense of freedom, that you don’t get from any other sport. My Favourite local trail…..All the ones up Ballo outside Coupar Angus. So there you have it. Two young, driven guys who are excited to get racing and get some good results. We are over the moon to support them this year and wish them all the best at the races. You will help to inspire tonnes of kids and people your age to get involved with the Cycling Hub and get more people on bikes! 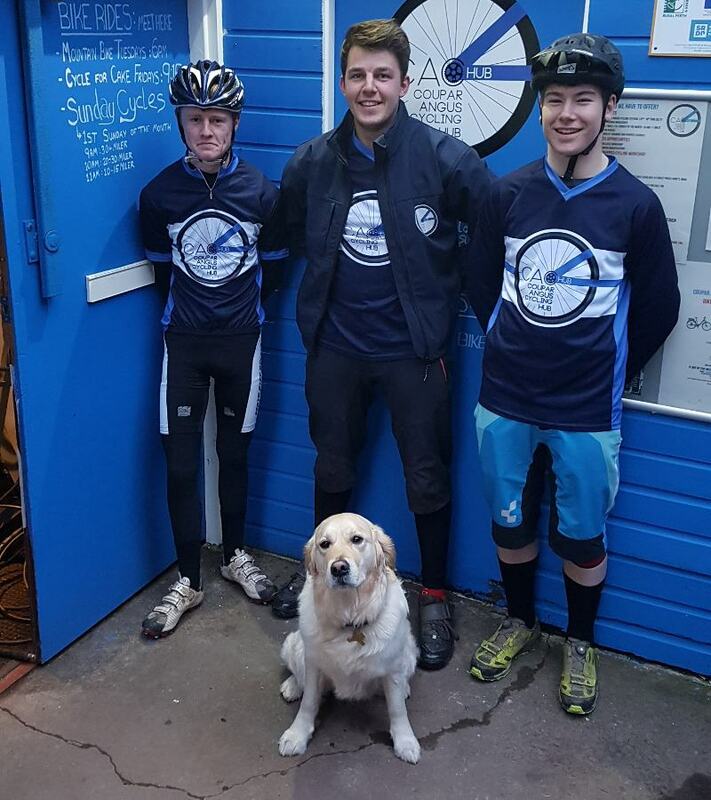 Conor Stevenson (left) and Michael Mauchline (right) with Grant Murdoch our Cycling Development Officer and Team leader, who will be racing the Scottish downhill series this year.